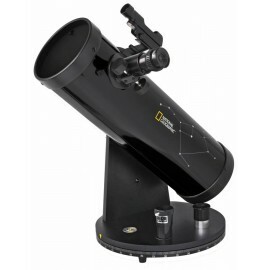 The mirror of the BRESSER Galaxia 114/900 EQ-Sky Newton Telescope has a diameter of 114mm and is in combination with its 900mm focal length an ideal telescope for beginners. 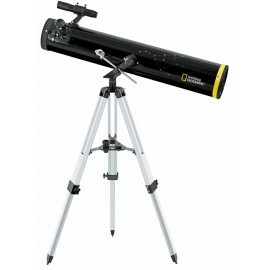 The aperture collects enough light to make fainter objects visible than a smaller sized telescope would. 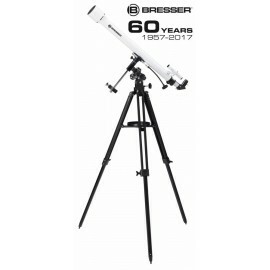 With the BRESSER Galaxia, a lot of detail can be seen on our moon and the big planets. 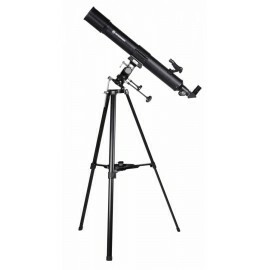 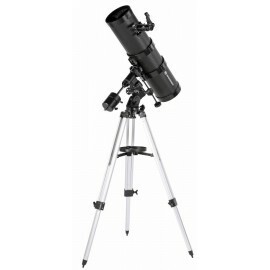 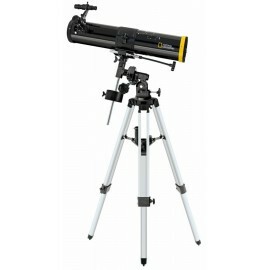 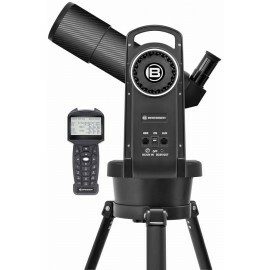 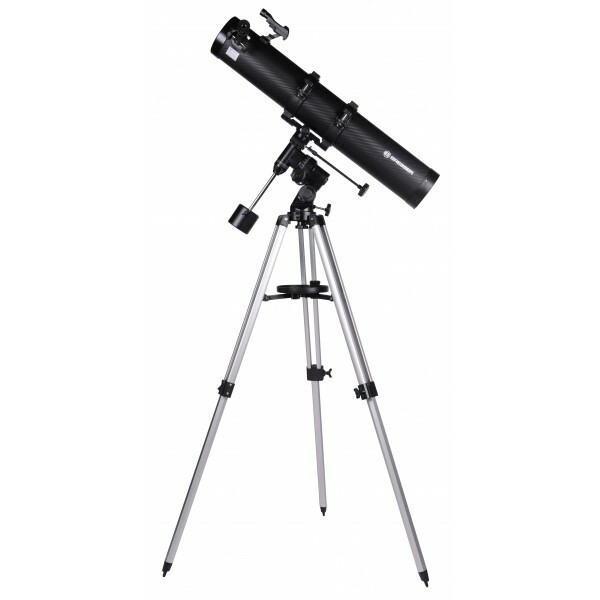 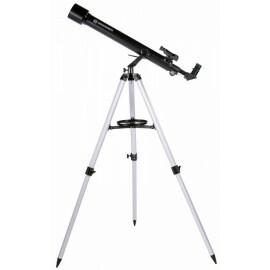 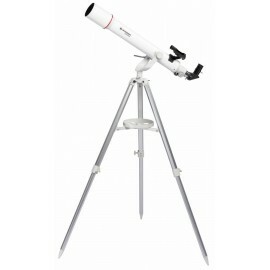 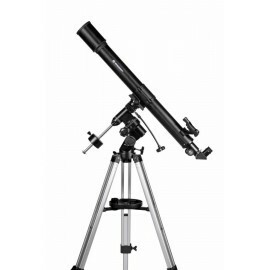 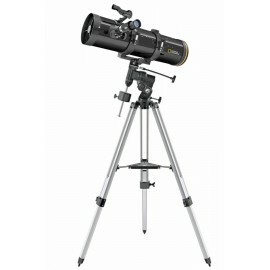 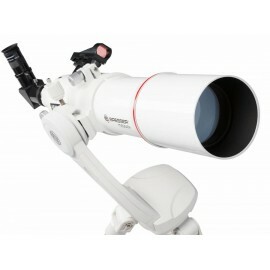 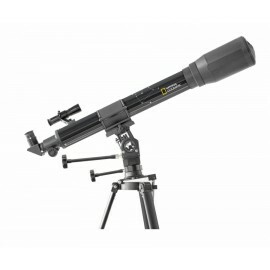 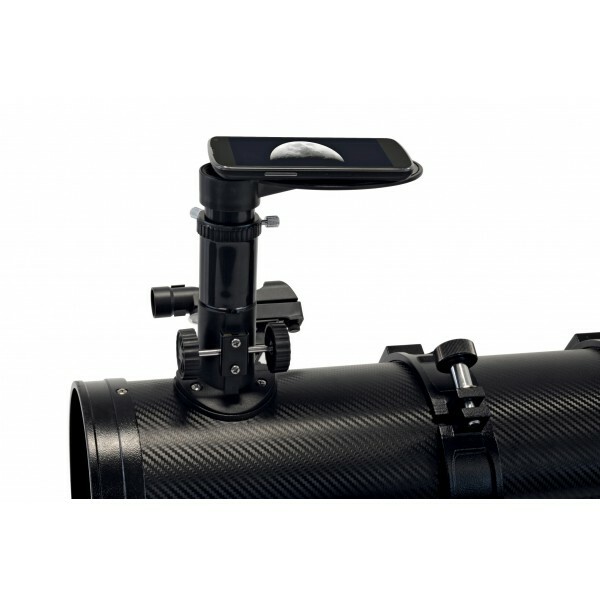 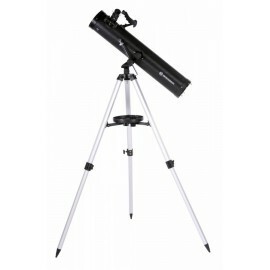 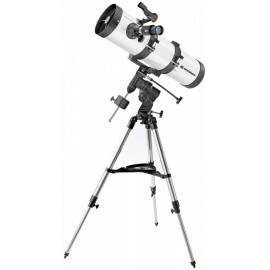 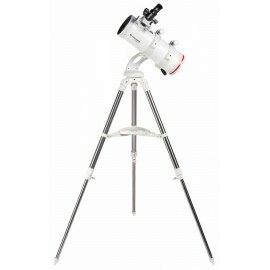 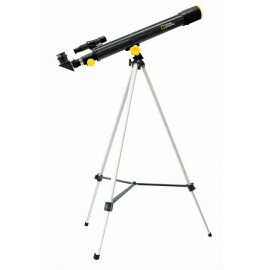 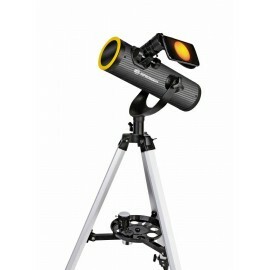 All telescopes of the BRESSER EQ Series come along with an equatorial mount (also known as parallactic mount). 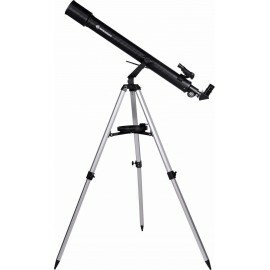 This allows for a compensation of earth rotation and exact following of the celestial object observed. 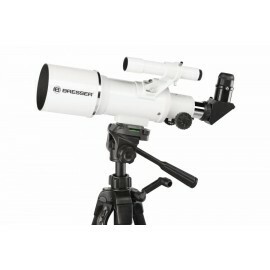 Taking photos with the smartphone through the telescope? 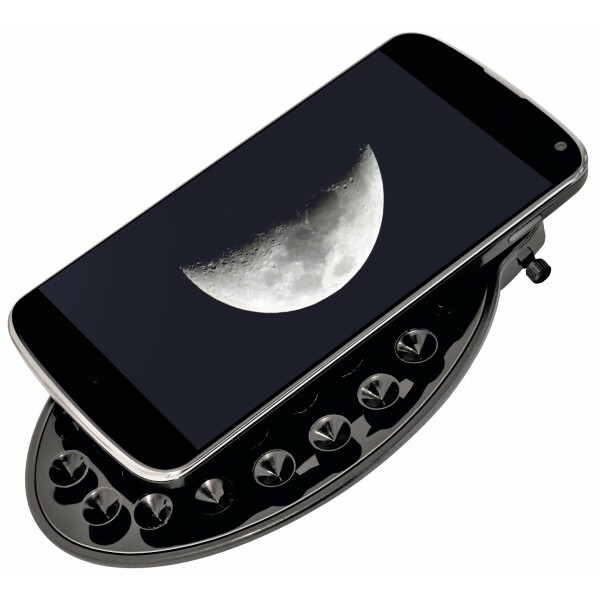 It’s child‘s play with the smartphone camera adapter! 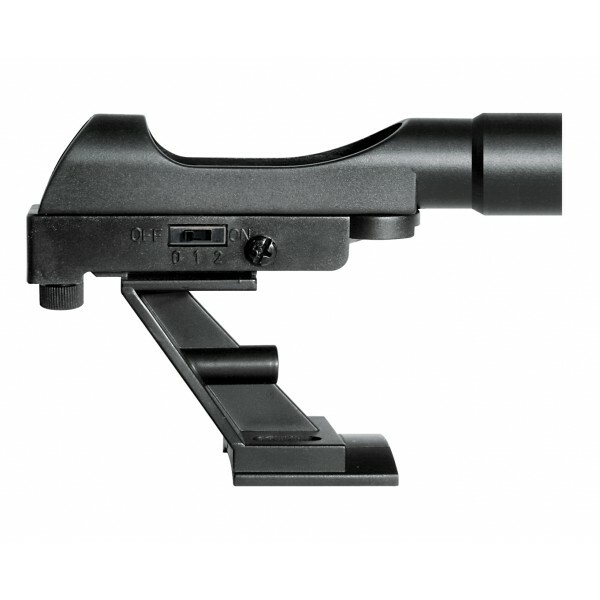 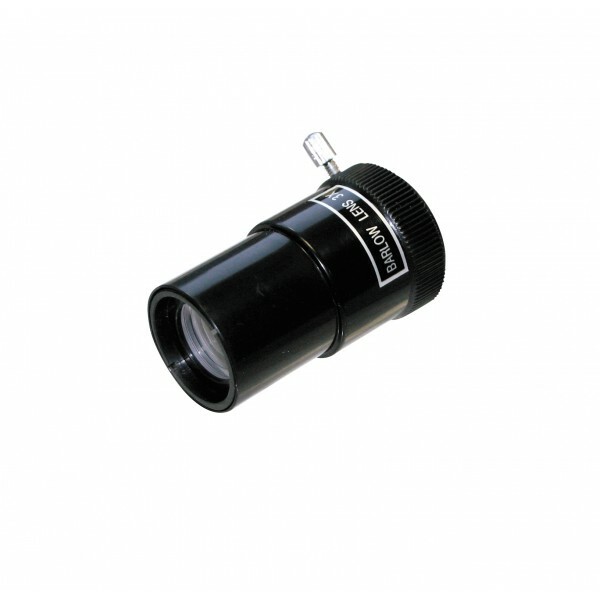 Attach the adapter easily to the eyepiece and then use your smartphone as a camera with super objective. 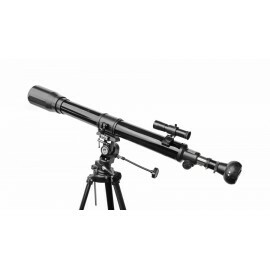 Now you can shoot distant objects as if they were up close.